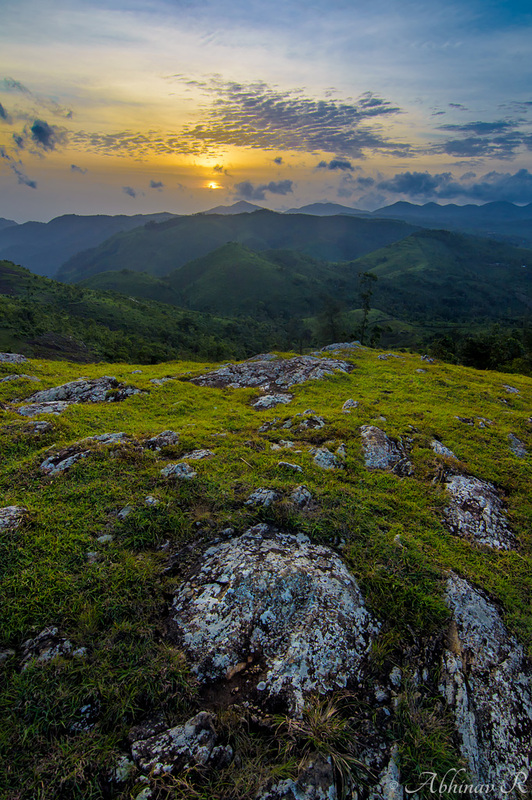 Parunthumpara is a small hill station between Kuttikkanam and Peermedu in Idukki district of Kerala. The place is famous for a rock which resembles an eagle. In the Malayalam language, ‘parunthu‘ means eagle and ‘para‘ means rock. So that is how the name came. The place is becoming a favorite location for local tourists. 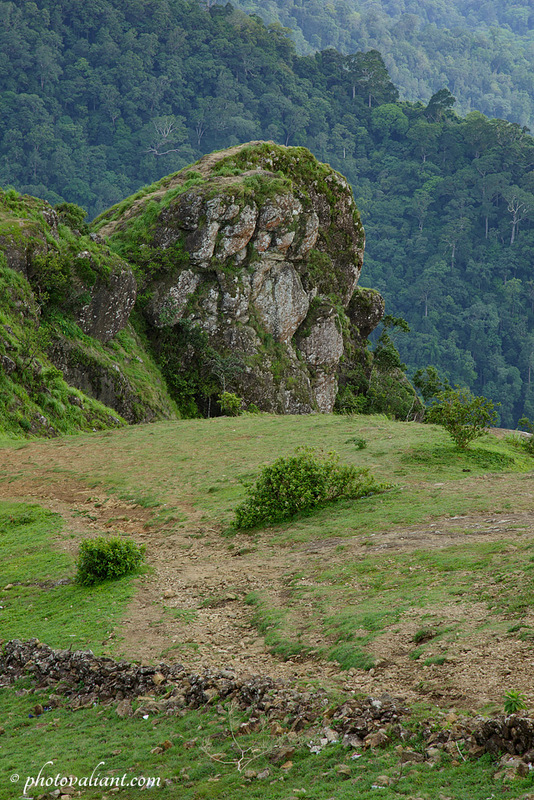 A panoramic view of the rock and the nearby hills. 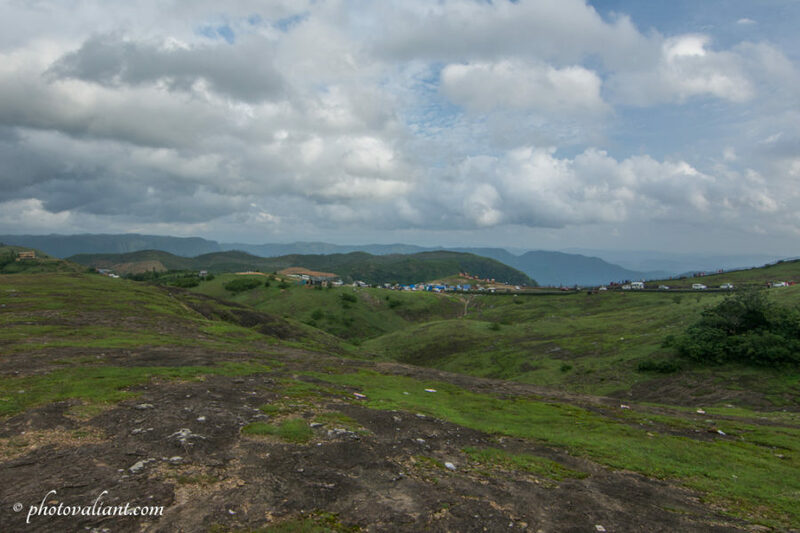 Parunthumpara, which is easily accessible by road is just 11.5 kilometers from Kuttikkanam. From Kallar Kavala (6.8 km from Kuttikkanam) take the right turn towards the narrow ghat road. The road leads to Paranthumpara. On approaching the place, you start to see the beautiful meadows of Parunthumapara. 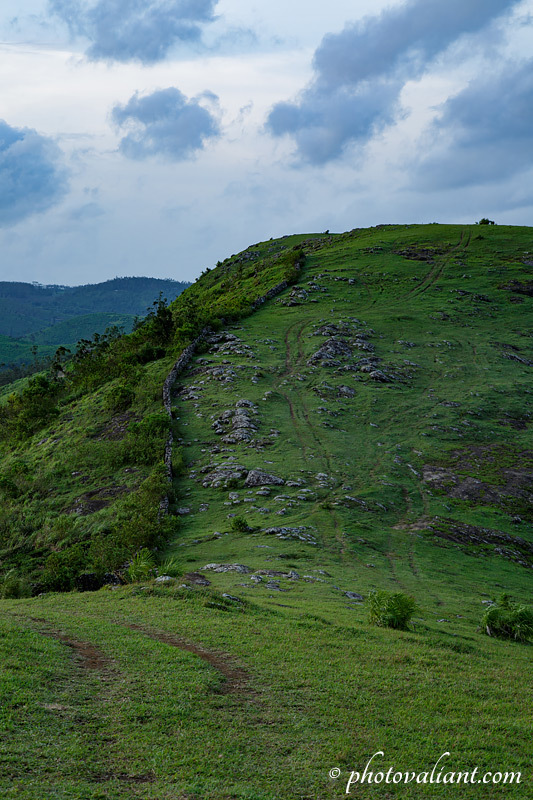 These green meadows look similar to that in Vagamon. There is plenty of space to park the vehicle by the sides, even during Sundays. There is a concrete path running by the edge of the hill which leads to the specified rock. If you are coming from Kumily side, there is a road to the left from Vandiperiyar which also reaches Parunthumpara. From Kottayam side: NH-183 – Kottayam > Ponkunnam > Kanjirappally > Mundakayam > Kuttikkanam > Kallar (Pambanar) > Parunthumpara. 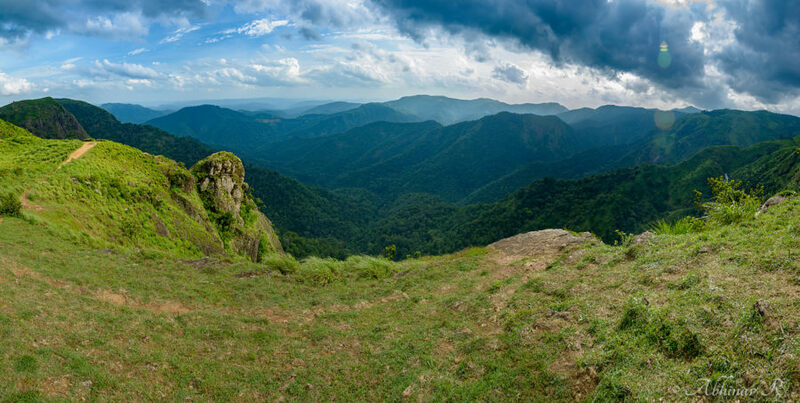 From Kumliy side: Kumily > Vandiperiyar > Paruthumpara or Kumily > Vandiperiyar > Peermedu > Kallar (Pambanar) > Parunthumpara. Also, there are a few bus services to the place from Pambanar. 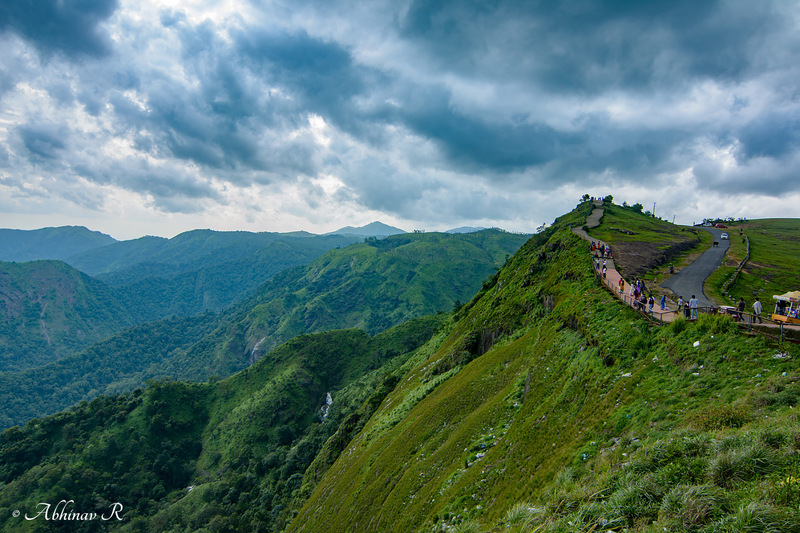 The scenic beauty of the valley and hills itself is the main attraction. Azhutha river is flowing in the valley. And there is also a waterfall in it. We get a distant view of the falls. The roaring of the falls fills the atmosphere even from a distance. I’m not sure if there is a way to watch the falls more closely as it is deep in the forest and the valley is too steep. The walk-path to the rock is only about half way down to the rock. From there trek about 100 meters down. The eagle rock is indeed an interesting one – a sculpture by Nature. Facing in the southwest direction, it forms a cliff. The rock is in such way that you have to climb down first and then climb up to the top. When I visited there, the wind was heavily blowing. So one must be very careful. There is only a very small space at the top. 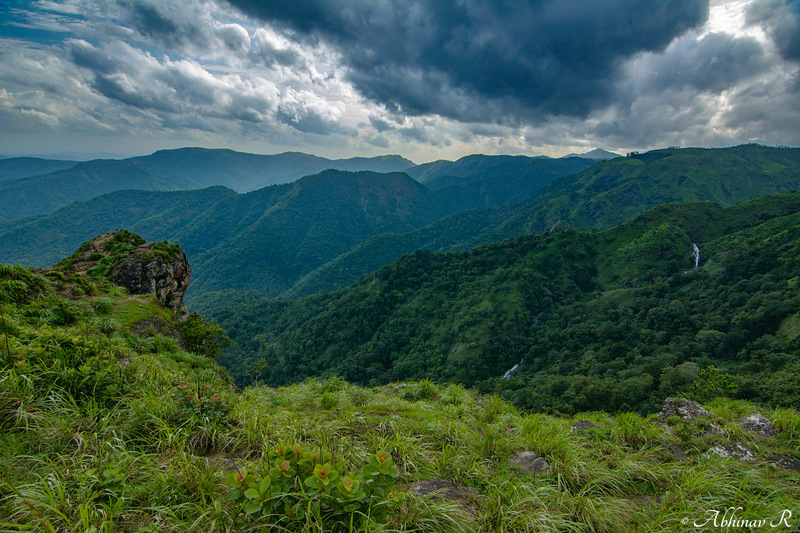 From there we can see the vast stretch of forest, with Azhutha flowing in the valley. Beyond the valley, there are high mountains. See the below photos to know more. The road and the walk-path. There are small shops by the side of the road. Monsoon clouds over the hills. The white channel towards the left side of the frame is the waterfall. A zoomed-in view of the waterfall. The green meadows. Visitors with 4×4 vehicles often drive to the top of these hills. But on the flip side, it destroys the meadows and its vegetation. Apart from the rock, there are numerous meadows all over the place. One can walk and explore the place. The ecosystem comprises of grasslands and bushes. So a lot of butterflies are there. During the dry season, that is February to May, the grassland will be dry, with the place looking brown all around. So it will be better to visit after the monsoons. A good spot for a one-day trip. Thekkady and Periyar Tiger Reserve – 26 km. 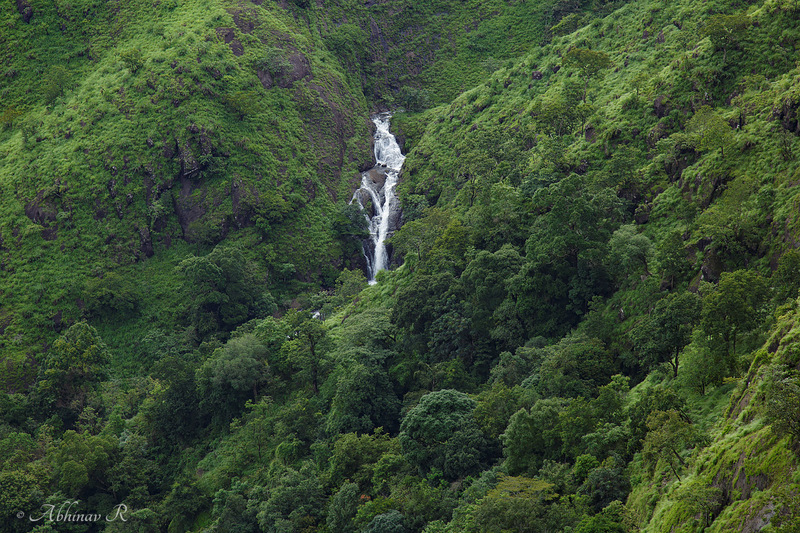 Valanjanganam Waterfalls – 16 km. Nice, detailed info and good pics.